So, what did I get in the week of Sunday, January 4th to Saturday, January 10th? FINALLY. My pre-order! I hate love triangles, but I loveeee this series. Thank you, Victoria! I won this ARC from her. I'll be giving away my publisher-sent ARC soon! I won this from Jaime! I already read Red Queen, and like Salt & Stone above, I have an ARC of The Sin Eater's Daughter from the publisher, so those will given away as well! I like jinn-related books! There were others Macmillan books on NetGalley that I could have downloaded, but this one was the most pressing! I haven't read a book by this author, but Racquel (a.k.a. fellow HR fan) LOVES her, so this will be my first JAL novel! I flat-out LOVE this series - Love and Other Scandals and It Takes a Scandal are really, really good! Have a great week, Alyssa! Thank you! I hope you enjoy both when you read them, Kaitlin! No kidding, awesome week. Good stuff personally and a great haul of books. Becoming Jinn looks good. I hope so too! And I enjoyed Red Queen as well. WOW you had one successful week. Dead of Winter - seeing that a lot these days. 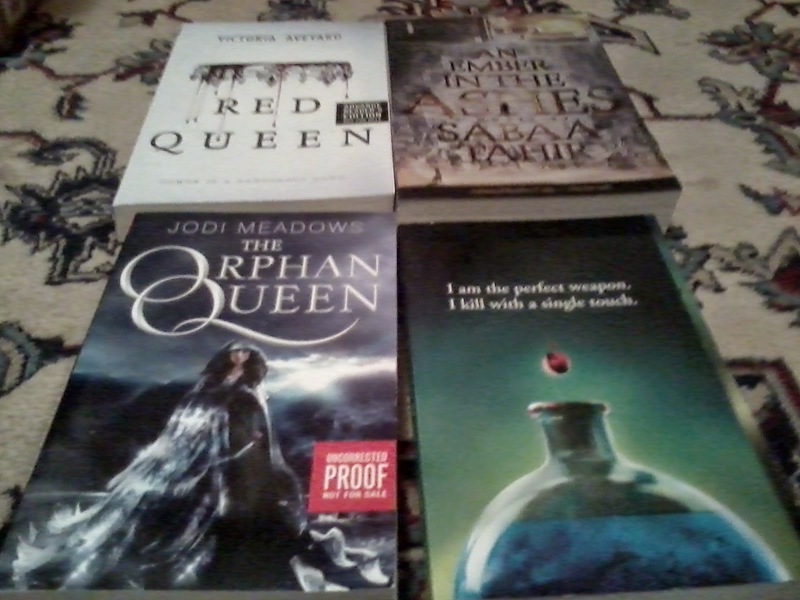 I have The Orphan Queen too, haven't began it yet and the Red Queen is seriously mind-blowing..... Great Haul! Happy Reading! Yeah! I think so too! I liked Red Queen as well. Thanks! That might be most excited book this season. That's is all. I really am holly to see you happy! I knew things would take that turn. YAY!! More money is always good for saving, for a 2B style apartment for next year and of course, for mooore books!! I'm beyond envious for the Orphan Queen ARC, of course!!! The other ARCs also have me doing all the grabby hands but OQ... damn it!! Cannot wait to hear what you think of Dead of Winter, now that's not the final book but third with still a fourth to come! OOOoh very nice! I can't wait to read Dead of Winter! Seeing it a lot today! Great haul of books! I hope you love it if/when you read it, Jessica! You got some amazing books this week. I got Dead of Winter and Becoming Jinn as well this week. People were raving about Becoming Jinn. Salt and Stone is the book that I'm looking forward to. I hope you love all your new books. I'm glad! I hope you enjoy them! Such a great haul Alyssa!! I am reading Dead of Winter right now and it is good! And I really liked An Ember in the Ashes. As for The Orphan Queen and Red Queen I NEED THESE! So happy to hear that, Nicole! I'm so jealous!! The Sin Eater's Daughter, The Orphan Queen and A. Ember in the Ashes... I wa t them! 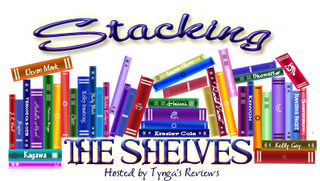 I hope you enjoy all your awesome books! I hope you enjoy them if/when you read them, Michelle! Thanks! You got some great YA books! Have fun reading! Aww! Thank you - and you too, Aneta! I hope you love Salt & Stone! I have been dying to get my hands on The Sin Eater's Daughter! Thankfully I do no have to wait too long though, since it comes out next month. I hope you enjoy your new books! I'm sure it's worth the wait! Thank you! More money is always good! So much awesomeness is dazzling :) I would love to read Sin Eater's soon, Red Queen (as you know) was awesome. 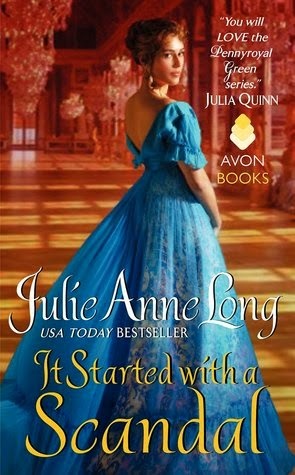 Let me know what you think about Julie Anne Long, I really like the cover. Last Year's Mistake looks amazing too. I'll definitely keep you informed about the HR novels! And Ciocca's debut - I'm REALLY excited for that one. Thank you, Liza! 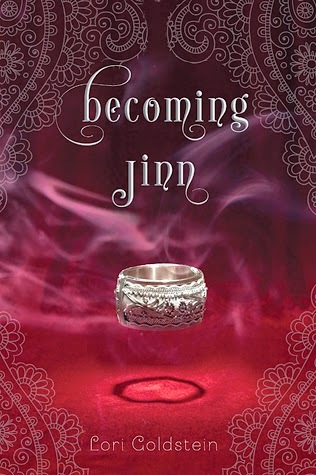 Becoming Jinn looks REALLY good, I'll be interested to read your review:-D Enjoy all your lovely books, Alyssa! Oooh signed books, yay! Ahhh! I hope you read all of them and enjoy them! And I know how you feel about the Arcana Chronicles - I LOVE the story but I'm sad about the love triangle... but it's like I can't stop reading the series because I want to know what happens, especially in terms of the romance! WHOA, Holy books!! Is the Arcana series good? I really want to read it, I stopped reading the first one for some reason... I loved Red Queen, I still need to read OQ and Ember. So jealous of Sin Eater!! :D yay, I hope you like Becoming Jinn :D Enjoy your books! I LOVED books one and two - I'll be reading book three next. Red Queen was great - I have not started The Orphan Queen or Ember. Or The Sin Eater's Daughter. The pains of reading chronologically LOL. Thank you! Oh you got Salt & Stone! And Dead of Winter! These books I'm dying to get my hands on! I hope you enjoy reading them. Can't wait to hear what your thoughts about them. I hope you get the chance to read them as well, Aseel! Thank you! Awesome haul, Alyssa! I just read Salt & Stone... really adored the first book, but didn't love this one as much. No triangle though! 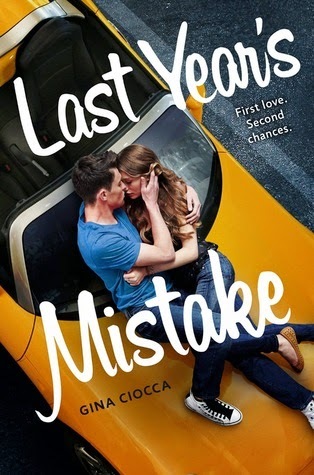 I'm so excited to see what you think of Last Year's Mistake! Really looking forward to that one. Yay for The Orphan Queen! Ember in Ashes and The Sin Eater's Daughter don't really interest me at this point. Ooo, interesting. Good to hear though! And I have high hopes for Last Year's Mistake! And the other three... but sorry that the last two don't appeal to you O_O Although I know why hehe. Still reading them! Orphan Queen looks like it will be a good one. Hope you enjoy and have a great week. I hope so too! And I will definitely point you in the direction, if/when I remember, Brandi! 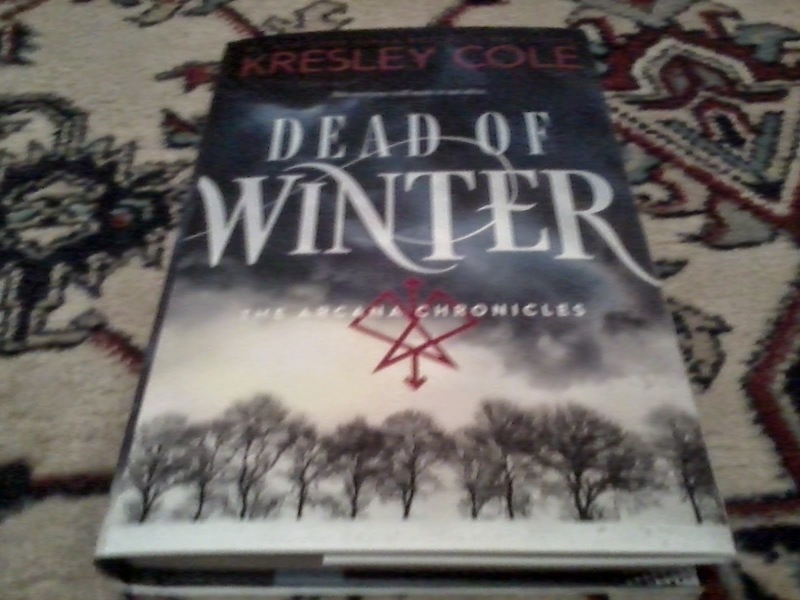 I just finished Dead of Winter, have you read it. Ugh, I'm so annoyed by that ending. It's nothing like Ensnared... but still. Enjoy your new books Alyssa! I haven't read it yet - it's my next one, actually! NOOOOO. Are you team Aric or team Jack?! OMG. TEAM ARIC!! I'm hoping for a nice ending for him... though I think the author is pro-Jack, honestly. Ehhhh. Some terrific books in your future. I think that Jinni book looks great. I will go look that one up. Hope you have a great week, Alyssa. Also, I am really glad to hear that things have been less stressful for you, and I really hope that things continue to go well! I'm doing the same, with S&S and TSED. The others will have to wait as well - chronological reading :D I hope you enjoy them when you get the chance to read them!